Adjustable “tilt” feature enables the user to fine-tune bow balance. Easton® G, X and H Series micro-shaft hunting arrows. 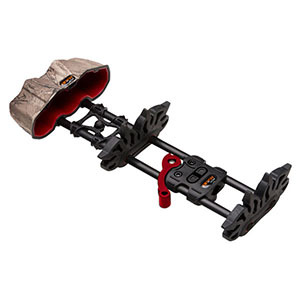 Includes rigid aluminum hanging loop for treestands or ground blinds.